Selvita is a biotech company offering drug discovery support at every step of the process, from the early discovery phase up to preclinical research. Selvita delivers a comprehensive panel of solutions to accelerate and decrease the cost of the introduction of new drugs to the market. 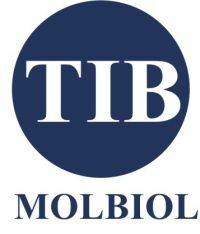 TIB MolBiol is a biotech company providing custom synthesis of oligonucleotides to a growing number of customers worldwide. Being one of the first suppliers of synthetic DNA in Europe, TIB MolBiol continues to lead in fulfilling the increasing requirements for high quality products and services. eBioscience is a biotech company providing high quality reagents that empower the process of scientific discovery in cellular immunity and oncology, mainly focusing in flow cytometry and immunodetection.